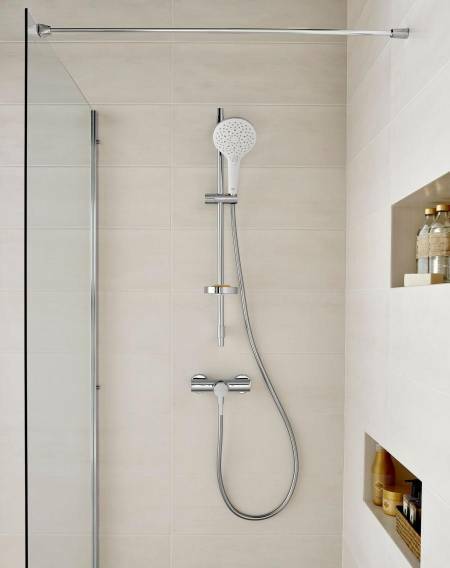 To enjoy the maximum functionality with the minimum hassle, simply purchase a swivel wall bracket and a hand-shower. 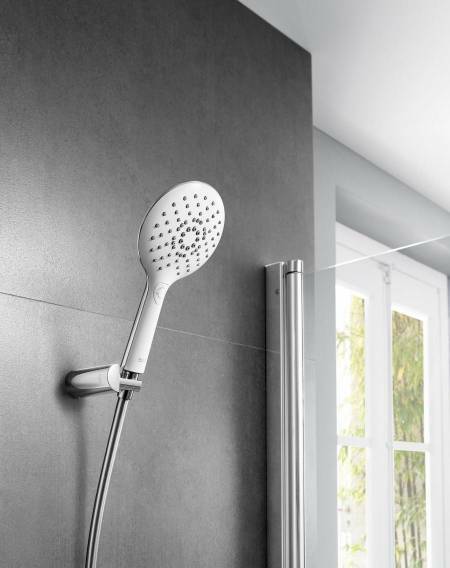 If you install the bracket high enough, it will serve as a shower-head and will allow you to have your hands free while you shower. 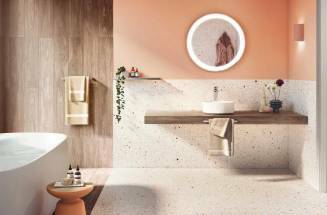 Discover Roca’s shower sets here. 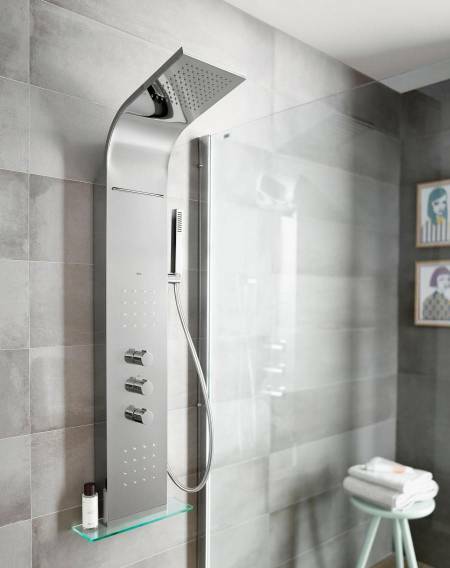 If you prefer to adjust the height of the shower, you need a sliding bar with adjustable bracket. Some models also include a soap dish so you have everything you need within reach. 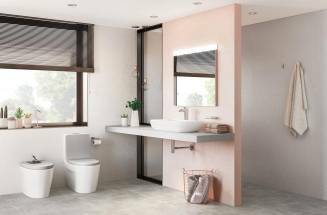 Choose the column and you will have everything you need in one single piece: wall-mounted faucets (thermostatic, twin-lever or single-lever), sliding bar with height-adjustable bracket and shower-head integrated in the ensemble. 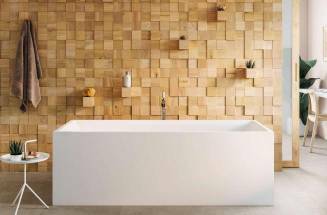 The ideal solution to enjoy the perfect shower. Discover Roca’s shower columns here. 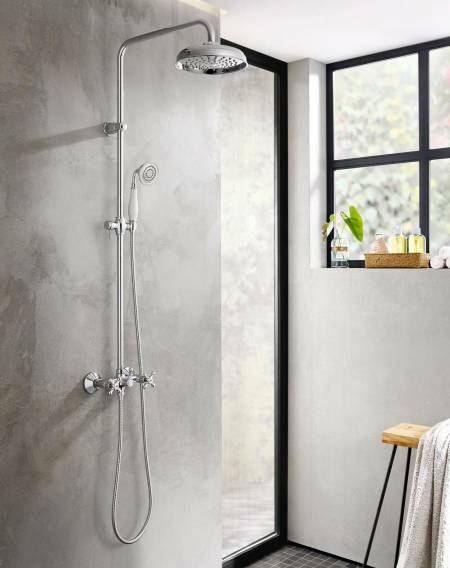 To experience the maximum comfort, the thermostatic shower column with hydromassage integrates all components of a conventional column as well as targeted jets that reduce stress and improve circulation. Comfort in its purest state.